Contains biguanide and QAC biocides. For use in the animal health care industries. 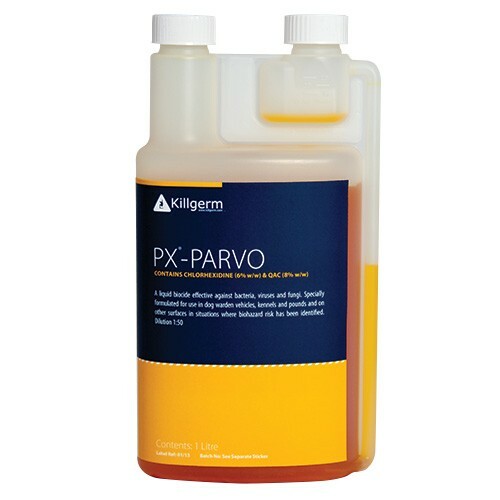 Effective against distemper virus, parvo-virus and other infective organisms. Contains Chlorhexidine and QAC (<7.5%).